Hayley, from Kittanning, was President of her school’s Photography and TV Clubs. She is a member of the National Honor Society, the Drama Club and served as the Secretary of the Class Cabinet. Joseph, also from Kittanning, was a member of the high school football team. 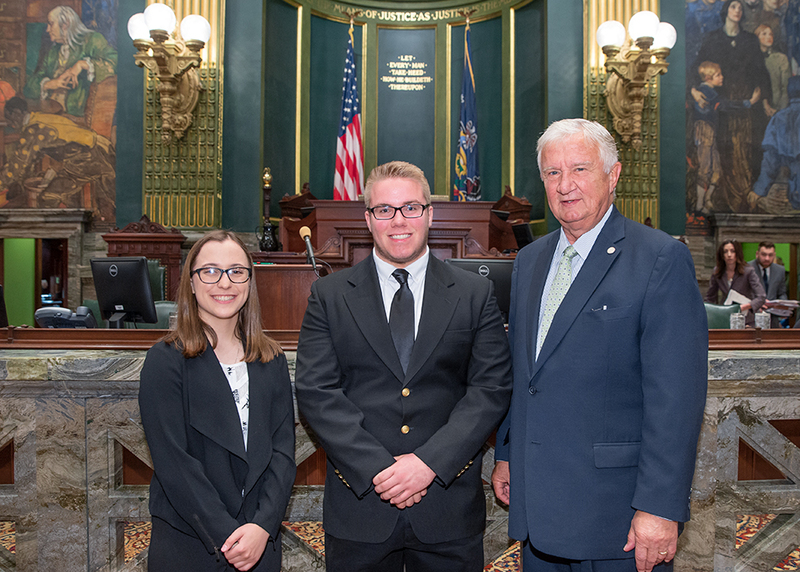 In addition to congratulating these young people for their winning video, I commended them for their choice of college, as both will be attending Indiana University of Pennsylvania to study Communication Media. The Senate approved a historic bill on Wednesday that changes the way that Pennsylvania’s legislative and Congressional districts are restructured to meet population changes indicated by the decennial census. The Senate Banking & Insurance Committee, which I chair, approved three bills on Wednesday. House Bill 2138 adds work requirements for eligible enrollees on Medical Assistance.